Atlanta, GA) United Turf Alliance announces the introduction of ArmorTech TEB 360 Foliar Fungicide containing the active ingredient tebuconazole. Traditionally used in the agricultural market, tebuconazole is a relatively new choice for professional turf and ornamental managers. The new systemic fungicide offers rapid plant uptake, which aids in the prevention and control of key turfgrass diseases on golf courses. TEB 360 is also highly effective against ornamental plant diseases. It is labeled for certain landscape ornamental applications. Suitable for use on both cool and warm-season golf course turf, ArmorTech TEB 360 provides first-class control of anthracnose. In addition, TEB 360 controls brown patch, dollar spot, Fusarium patch, gray leaf spot, gray snow mold, summer patch and other diseases. In ornamentals, TEB 360 is effective against anthracnose, black spot, leaf spots, powdery mildew, rust, scabs and southern blight. ArmorTech TEB 360 is an excellent fungicide tank mix and rotation partner. Packaged in a 4 x 1-gallon case, TEB 360 contains 3.60 lbs. of tebuconazole per gallon. Applied to golf course turfgrass at the labeled application rate of 0.6 oz per 1000 sq. ft., one gallon economically treats five acres. 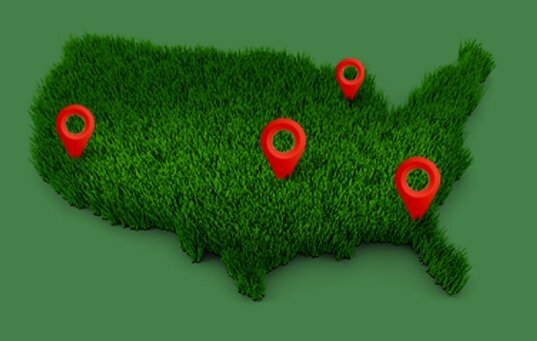 Incorporated in 2005, United Turf Alliance markets leading edge turf protection products under the ArmorTech brand name through its members and dealer partners. The alliance directs its efforts toward discriminating golf course superintendents and other turfgrass professionals who value relationships based on industry and product knowledge combined with excellent customer service.